Nonprofits are businesses with heart, but they’re businesses just the same. 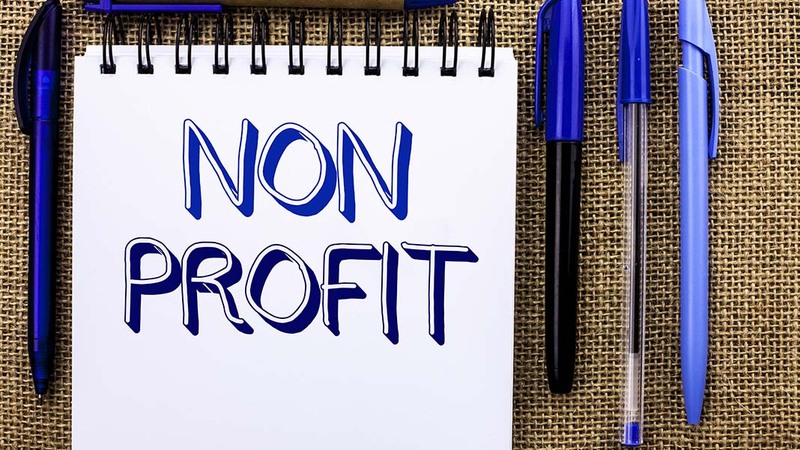 Creating a nonprofit is a labor of love, and it can be a very fulfilling way to live your life, but it can also be devastating if you aren’t able to keep the organization going long-term. If you want to achieve the goals of your mission and continue helping long-term, you’ll need to approach your nonprofit’s success like a business. The good news? You’ve already got a leg up on for-profit businesses. People want to help and they want to give. In 2017, charitable donations in the United States rose to an all-time high of $390.05 billion. Getting your organization a share of those dollars takes strong strategy and marketing—here are 6 ways to boost your nonprofit’s success. It’s important to have values and an overarching “why” for any business, but it’s especially crucial for a nonprofit. If you’ve already started your nonprofit, then you already know what your mission is. But it’s important to get really clear on why this mission is important. If you haven’t got a mission statement already, writing one can help you clarify your vision and help others quickly understand just what it is your nonprofit stands for. Look at some examples from organizations you admire and go from there. Your “why” should be the baseline for everything your nonprofit does. When you’re caught up in the day to day of running a nonprofit, it can be easy to lose your passion. Frustrating bureaucracy, finding the right staff, and other challenges can make you feel like you’re just doing another job. Rediscover the passion you have for your cause, and use that to create a unique brand voice and share your organization’s story with potential donors. That passion will help lead your nonprofit to success. Social media can be tricky to master when it comes to marketing a business, but nonprofits have an edge: stories. Good storytelling drives the best marketing, and the informality of social media makes these sites great platforms to share your organization’s stories. With 74% adults now using social networking of some kind, the potential audience size is enormous and powerful. Find examples of how your nonprofit has touched the lives of those you serve and use those stories to build your brand awareness and show why your organization is worthy of support. So often, we focus on the bad in life and in business. A nonprofit can’t be successful, however, without a lot of gratitude. Gratitude for the team, the donors, and for the passion behind the projects. If you’ve been finding yourself complaining a lot or feeling down about how your organization is doing, try to switch to an attitude of gratitude, and remind yourself of how much you have to feel grateful for. While this won’t bring success in and of itself, it can make you more motivated to work toward your goals and fight for that success. While many nonprofits run on the talent, energy, and passion of the people who started the organization initially, it’s impossible to grow and succeed long-term without the right team. Instead of trying to focus on doing everything yourself, think about how you can build a good team. Which positions are going to be key to your nonprofit’s success? Investing in employees that specialize in marketing or data analysis may seem expensive up front, but they are the kind of investments that pay off in the long run. Having a team with diverse skills can dramatically improve nonprofit performance. Take your time and hire people who really commit to your organization’s “why”. It’s important to be positive and to talk about what’s going well—but it’s also important to have transparency and discuss challenges your nonprofit may be facing. Showing that you’re willing to make changes and keep working toward your goals despite challenges is key for growing trust and displaying organizational integrity. Consistency and integrity are two of the most important attributes of a nonprofit’s image. You should always strive to promote your message, mission, and intention in a consistently positive and passionate way. Branding may seem like something that’s just for for-profit businesses, but nonprofits need to embrace these essentials of marketing to boost success and compete long-term. Andrew Deen has been a consultant for startups in almost every industry from retail to medical devices and everything in between. He implements lean methodology and is currently writing a book about scaling up business. Twitter @AndrewDeen14.